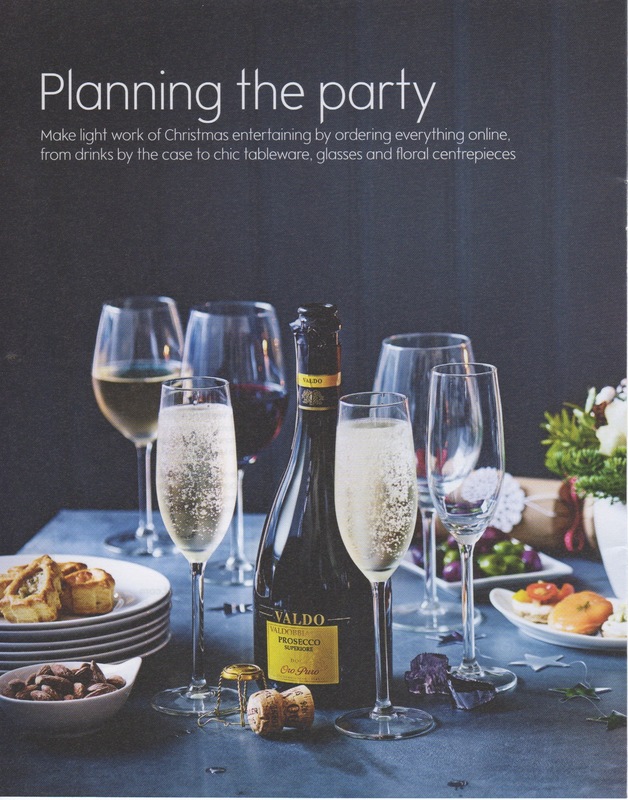 Waitrose Delivered Christmas 2015 Brochure. We love to track design trends and fashions from year to year. For that reason we scan and archive a selection of pages from various Christmas broachers and leaflets. 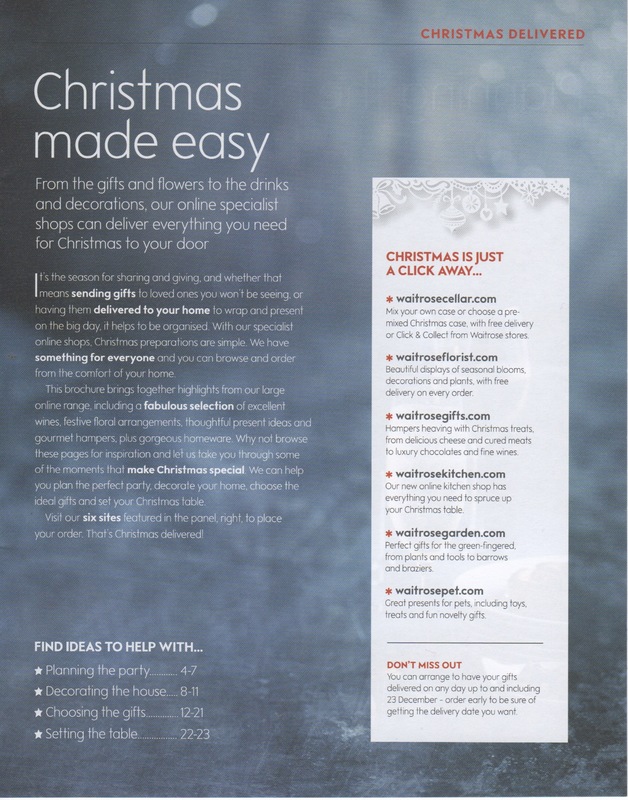 On this page you will find pages from the Waitrose Christmas Delivered 2015 Brochure. 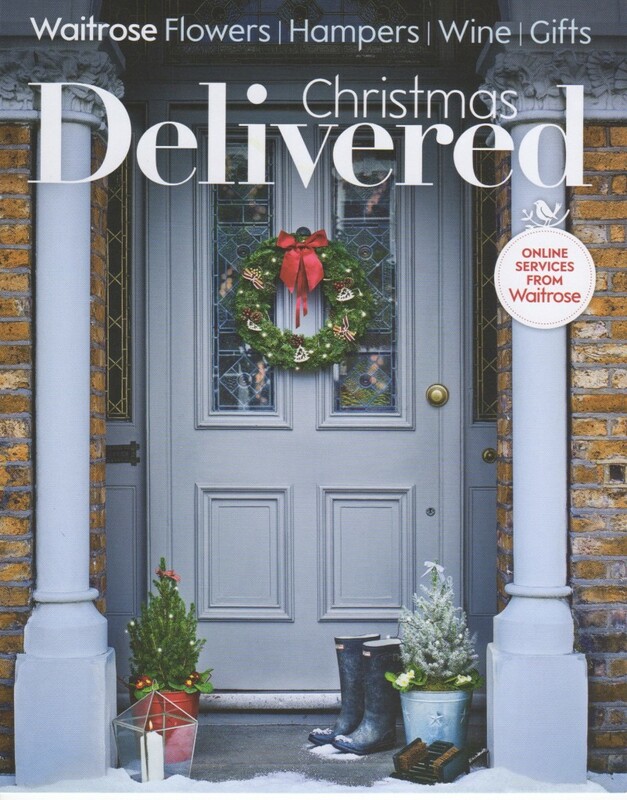 The root cover text reads Waitrose Flowers, Hampers, Wine, Gifts, Christmas Delivered. Online Services from Waitrose. 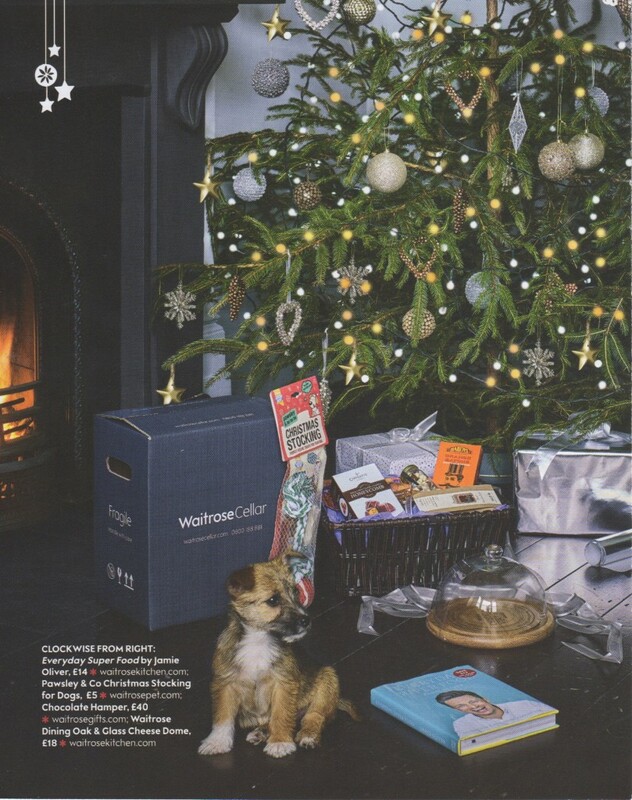 This is the inside from cover featuring the 2015 hit cookery title “Everyday Super Food by Jamie Oliver”, Pawsley & Co Christmas Stocking for Dogs and a Dining Oak & Glass Cheese Dome. Christmas made easy at Waitrose. A full list of their online services for 2015. Making light work of Christmas entertaining by ordering everything online from drinks by the case to chic tableware, glasses and floral centrepieces.